I didn’t know that not doing something was a qualification and if it is I don’t know why he stopped at land developing. Why not add “I am not an adulterer or a murderer”. How about “I am not stupid or a klutz?”. Wouldn’t it be great if we were judged by what we are not? I think all of us would be able to add much more to our qualification list! I for one am not an Olympian, not a hair-dresser, not a supermodel, not a astrophysicist, not Miss America. If you read over that list quickly I sound pretty amazing! I wonder if Mark wanted to be elected at all? Surely he has some real qualifications. It’s not like it is president- just Draper City Council! I know this is a bit of an over-share but yesterday I developed a stye in my eye (it is almost more painful because of the name. It’s got to be the only medical condition that rhymes). For those of you who don’t know a stye is a staff infection in the eye that creates basically a pimple under your eye-lid. It hurts a lot,makes everything uncomfortable, and it is incredibly difficult to force myself to not touch it. I have been on-line and gotten some home remedies such as putting a tea bag on the eye or taking a Vitamin A and C. I have been having alergies all week and putting allergy drops in my eyes every day. I am pretty sure the over-lubrication is what caused the infection. I may go to the doctors tomorrow; although most of the websites say it is unnecessary. Before I do that I was curious if any of you had experienced a stye and have a successful home remedy. It’s weird because normally I don’t get allergies but something has been different here in Utah this year and it has been bad. It has made my asthma flair-up, my eyes sting and my sinus bothersome. What a pain in the eye (ok, that was a bad pun but I’m sick so humor me!). A stye, or hordeolum, is a small bump that can appear on the outside or inside of the eyelid. A stye develops from an eyelash follicle or an eyelid oil gland that becomes clogged from excess oil, debris or bacteria. Styes seem to be brought on by increased stress, but can also be a complication of another condition, called blepharitis. Although the appearance of a stye can be unsightly at times, it is usually harmless. Patients with styes often complain of watery eyes, pain, tenderness, itching, or redness around the stye. Styes usually appear as a reddish bump on the eyelid. When a stye first develops, the eye may feel bruised and may feel sensitive to light. In severe styes, a yellow spot may develop in the center, similar to a pimple. Known as an internal hordeolum, it develops as pus builds up inside the stye. Pain usually subsides if the stye ruptures and pus is drained. Some styes never form this pimple-like head, and the pus continues to accumulate. Some large styes can interfere with vision. Some people with chronic blepharitis are prone to clogged eyelid glands, in which bacteria builds up and infects the glands. Sharing make-up or applying too much eye makeup can sometimes cause styes to develop. Increased stress also seems to bring them on, but the relationship between stress and styes is not well understood. Gently press a very warm washcloth against the eyelid for 10 minutes at least 4 times per day. Gently massage the entire area to speed healing. Antibiotic ointments or eye drops may help cure the infection. If the skin around it is becoming infected, antibiotic pills may be needed. If a stye does not go away in a relatively short period of time, it can turn into a chalazion. A chalazion develops when the oil gland becomes infected and a blockage develops. This blockage causes the gland to become inflamed. The pain and inflammation eventually goes away, but a hard lump or bump remains on the eyelid. A steroid injection may reduce swelling, or your eye doctor may suggest lancing the chalazion or surgically removing the substance inside of it. Always allow a stye to drain on its own. It is best to resist the urge to squeeze it yourself, as this may cause a more severe infection. 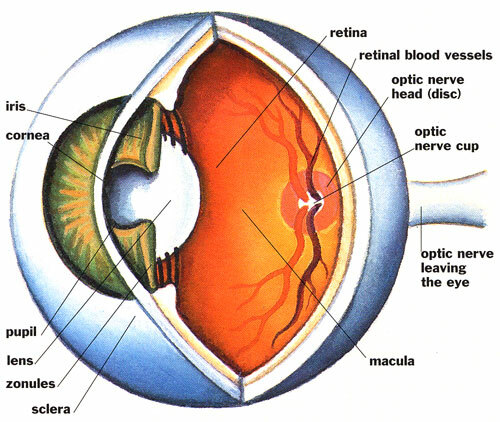 If a stye does not go away within a week with the application of warm compresses and massage, see your eye doctor. Do not wear eye make-up or contact lenses until a stye heals, to prevent the possibility of infection. Readers to my blog will know I enjoy Glenn Beck. I know he can be a bit crazy but I agree with a lot of what he says. I don’t have time to write much today but I love this new “refounding” message he is talking about. The idea is our country can have a rebirth by reaching back to the principles and values of the founding. Beck is offering anonymous truth-telling with the hope of finding 56 people (the number of the original founders) that are willing to weed out excess and corruption. He talks about atonement and that we can get off the disastorous track we are on both financialy and morally. I will write more later but I was moved by Beck’s message. I love my country, and I want it to be back to the values we started with. My worry is that Beck won’t be able to find the 56 people in Congress willing to stand up. More and more it seems politicians are finding ways to stretch half-truths or outright lies to the American public. We’ve even reached a point where Governor’s can run off to Argentina without telling anyone and not get punished, where news shows have to air fact-checking, “keeping them honest” sessions after the President’s speeches, and where the Christian principles this country was founded on are treated with disdain and contempt. Before we know it the family is going to be watered down to nothing, our freedoms will be curtailed and there won’t be anybody to trust leading our nation. It’s sad that we turn tea partiers into extremists, town-hall visitors into non-patriots and brave soldiers into potential terrorists. I hope beyond hope that Beck is right. I pray for it every night. I will be curious for your thoughts. Will write more later. This Monday I participated in a chili cookoff at the churchhouse. It was one of the most enjoyable activities we have had in a long time with everyone talking and enjoying good chili. Each contestant was responsible for making a pot of chili and giving it a funny, creative name. 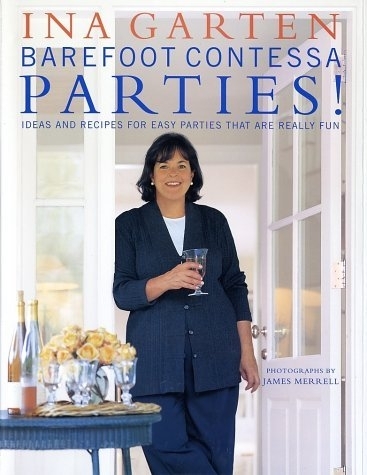 I made my own variation on the Barefoot Contessa Parties Chicken Chili recipe by Ina Garten and called it Dating Chili: It’s so good you will want to ask me out after eating it! I would like to say that the title worked and I got a lot of dates from but sadly that was not the case. (Plus, there were about 40 girls to 10 boys so the odds were not in my favor). The competition was pretty fierce with around 10 pots of chili for the judges to try- including one pot made by a professional chef. Mine was undoubtably the best and the biggest crowd pleaser; however, I just needed the judges to agree with that assesment. Unfortunately they picked another 😦 It’s like my sister said “ther’s no accounting for taste”. Afterwards a couple of the girl judges came and said they liked mine the best. Maybe chicken chili is more suited to a girl’s pallet. Who knows. Despite not winning, a number of people have asked for the recipe and I decided my blog is the perfect place for that. Dice the onions, bell peppers, jalapeno and garlic. Cook the onions in the oil over medium-low heat for 10 to 15 minutes, until translucent. Add the garlic and cook for 1 more minute. Add the bell peppers, chili powder, cumin, jalapeno, honey and salt. Cook for 1 minute. Add diced tomatoes, beans, cilantro and basil. Add chicken stock. Bring to a boil, then reduce the heat and simmer, uncovered, for 30 minutes, stirring occasionally. Rub the chicken breasts with olive oil and place them on a baking sheet. Sprinkle generously with salt and pepper. Roast the chicken for 35 to 40 minutes, until just cooked. Let cool slightly. Separate the meat from the bones and skin and cut it into 3/4-inch chunks. Add to the chili and simmer, uncovered, for another 20 minutes. Serve with the toppings, or refrigerate and reheat gently before serving. I think it is the yummiest recipe. I love a big bowl with a little sour cream, cheese and cilantro on top. Delicious! Give it a try and let me know what you think. It does make a large pot of chili so if you are making it for a family I would cut it in half (believe it or not this is already cut in half from the original Ina Garten recipe!). By the way, I did win best name for my chili, so there is some hope for next time! My only regret is I didn’t take a picture of the delicious chili. I always forget to take pictures of normal life events. If you looked at my camera you’d think all I did was go on vacation! Today is what Saturdays are made for- cleaning a messy home, organizing one’s life and resting from a long week. It honestly has felt like a month packed into a weeks time. As I have no doubt many of you are tired of hearing, my work-life has been exhausting lately. Every day, including weekends, has been jammed packed with vacation rentals, long-term tenants, new homes to manage, sales tax to work on, events to coordinate and more. I may be exaggerating a bit but it feels months ago in Hawaii that I last enjoyed a relaxing Saturday. I am not even going out with friends tonight- and to be honest I am kind of glad. I love my friends but today all I needed was time to myself. 1. Organizing/Cleaning Home- My parents will probably sit mouth agape once they read this because I hated “Saturday work” growing up. Every week we had assignments for Saturday that were above our normal daily jobs such as scrubbing all the wood floors, cleaning the car, organizing the pantry, cleaning all the bathrooms etc. These jobs usually took the majority of the morning to complete and sometimes went into the entire day. My least favorite task was tending for my mother’s garden. Even now, I would rather do just about anything over gardening (I detest weeding, planting, pruning, mowing). I’ve always been a bit of a princess and gardening is just too dirty, smelly, sweaty and miserable! It’s funny because my parents love it. Even when my mom was pregnant in bed my dad kept up our massive garden at the Maryland house. He decided that we were going to set up a farm stand for selling tomatoes (clearly he didn’t understand his own children. No way we were selling tomatoes on some stand!). We ended up with 36 tomato plants and hundreds of pieces of fruit. A friend helped us to can a good chunk of it but the rest Megan put on a red wagon and wheeled around the neighborhood giving them away! Nevertheless, I still appreciate a Saturday that is free enough for me to clean the kitchen, vacuum, organize my room, and make my life feel organized. With the flexibility of my schedule I can often get such projects done during the week but it is less stressful to have a large block of time to devote. Maybe it is being raised on “Saturday work” but nothing seems as productive as a Saturday morning that I can dedicate to cleaning and organizing. For instance, this morning I scrubbed the kitchen down including the floor and stove, did the dishes and vacuumed throughout the apartment. It only took me an hour or two but it made such a difference in the feel and vibes of the apartment. It feels less cluttered and stressful. I love that feeling! Other tasks are often done on Saturday’s such as laundry, buying groceries, and other shopping. These are fine, but I am glad to be inside today with nothing to do. Especially laundry- I hate doing laundry. I avoid ironing like a disease. I find it the most tedious of tasks. I would much rather be scrubbing floors or cleaning bathrooms. I guess laundry and gardening are my least favorite jobs. 2. Relaxing- There is something about relax time on Saturday’s that makes such a difference. I swear if I do not get a restful Saturday the entire week suffers. Even if I take time off on Monday it doesn’t seem to have the same effect. Sometimes relaxation includes my friends and family but other times it is just me. I love days like today where I get to exercise, nap, write my blog, watch some tv, and read. I love all of it! I need it to be happy. If I do not get a restful Saturday than my Sunday’s particularly suffer- it is so hard to stay alert and attentive at church and in my other meetings. My dad has always had a hard time staying awake at church and I understand why- he was always working hard on Saturday. I have felt so tired lately. I even worried I might have mono but the doctor said it was just a combination of stress, allergies and asthma. It is so great to be rejuvenated and alive! 3. Entertainment- As is clear from this blog I appreciate many different kinds of entertainment- movies, books, television, theater etc. A Saturday just doesn’t feel complete without a tiny taste of something entertaining- something to smile and laugh at. I love going to the movies with friends, seeing a play, going to a good restaurant, or lounging at home with blanket and popcorn while watching TV. It’s all great and essential to feeling ready for the upcoming week. It’s not really entertainment but I also love doing service on Saturdays including attending the temple whenever I can. Next week I am scheduled to help clean our church and in the Winter I plan on volunteering for Festival of Trees again. Today I thought long and hard about going to the tea party in Salt Lake, but I decided I just couldn’t do it. I needed the relaxation time more urgently than the political activism. Next time I will attend! I am so glad to see the crowds in Washington DC! Woohoo! Easier said than done. Why is this so hard? At least for me, this is the great challenge of life. I love my job, but I have always been bad at balancing the demands of work and life. Especially as my business has begun to change there seems to be an unending number of projects and opportunities. Just this weekend I got a new client, which is a tremendous chance to improve my standing as a property manager and make some good money along the way. It is a connection and opportunity I need to add more clients besides my father. As grateful as I am, it is also one more thing to balance in my life. Right now there are so many things left undone. I haven’t started real estate courses I’ve paid for. I haven’t done much on sales tax for Grabber; and I still have tons of work on Grabber events. That’s just the tip of the iceberg. There are spaces this fall in the Anna and Madeline to get reserved, a client with 25 homes I would love to work with more, a guest blog I have committed to write and edit, and this new home I need to find tenants for. I have agreed to all of these projects and I know they will bring in more money and help my career. In addition to work I have church responsibilities, temple work, family, and a million creative projects I would love to tackle. I love entertaining, gathering with friends, cooking, swimming, community service, politics, singing, and reading. With a few exceptions, I am afraid lately work has been trumping all of these noble endeavors. I want to be better at balancing my life but I find it very challenging. My sister once told me I was a workaholic, and I think there is some truth to that. I hate unfinished projects. I think part of it is growing up with a little bit of dyslexia. This made projects and homework more difficult and time consuming than for my friends. In college, I worked harder than most of my classmates and yet my grades were not as high as I felt they should be. I have a great memory and still recall lectures, books, teachers from college, yet in some of those same classes I scored Cs and Bs. Isn’t that weird? I clearly learned the required material and was impacted by it but my grades didn’t show? This taught me that any assignment, task, job, responsibility I had was going to take twice the work from me as it did for anyone else for the same results. I am not saying this to engender sympathy. It’s just the way it is. Even when I was getting my MBA other students appeared to coast when I spent hours on projects (at least in that case I got the A’s almost every time for my hard work!). The hardest thing for me is having true relaxation time. This is particularly true since I work at home and am never far from the call of my cell phone or the ever present email. I know there are reservations I have gotten because I was the first to respond and this keeps me constantly checking and rechecking. Having the phone off for an evening makes me nervous. In fact, just the other day I turned my phone on silence and missed out on a reservation for our vacation rental that would have been great. My dad ended up taking the call, so perhaps they would not have agreed to rent with us anyways (if my dad can’t sell it, nobody can. He’s a great salesman). My brain is constantly going about how I can make things better, get more sales, satisfy clients and be more of a success. I have had insomnia for over a year because I can’t stop thinking about work. I don’t want to sound like I am complaining because one of my greatest joys in my life is work. I love what I do. I love how it uses all my talents and yet challenges me each day. I love the people I meet, the freedom I enjoy, the variety of tasks, and flexibility. I love the relationship I have developed with my dad through this job and feel we are closer than ever before (that is perhaps the greatest gift of my job). I love feeling like I finally contribute to society in a meaningful way and help make people happy- either on vacation or in their permanent home. Because I know what it feels like to be unhappy in work, I will do whatever it takes to keep my current job and be a success at it. Maybe everyone who owns their own company goes through this? Maybe it is the price to be paid? My dad said when he was self-employed in Maryland that he worked 70 hour work weeks. He worked from home and worked very hard but it never seemed to be an obsession or over-powering influence on his life. In fact, he managed to own his own business while my mother was bedridden when she was pregnant with Sammy. How he was able to do that and remain so outwardly calm and collected I will never know. It is amazing. One thing I have to remember is I always find a way to pull things off. I worry about getting projects done but then I always do. It’s like with the Grabber Events. I thought it was going to be impossible to get the calendar submitted by the end of August and yet somehow I made it (September 3rd to be precise)! It was done and up to my standards. I worked hard and the Lord did expand my capacity in the month of August, and I am so grateful for His help. I would love to hear some advice from all of you- especially if you work at home or for yourself- on how you separate work, family, friend and time for yourself? How do you know when to say no to projects? How do you not “set goals beyond your capacity to achieve”? I don’t even know what my real capacity to achieve is. I always think I can do more, be more, and make more of a difference. How do you truly relax and feel rejuvenated? Even today, on this holiday, I feel a pressure to work that is hard to describe. How do you turn that off? I have exciting news- this is my 100th post! This means since May of last year I have written a post about every 5 days. So far there have been 8,700 hits and 233 comments. I wish there were even more comments, but am thoroughly grateful for the ones I’ve gotten! Thanks everyone. The blog has turned into one of my favorite hobbies. I love it! (by the way, I should have my rightwingchickie guest blog ready tomorrow or Saturday. Just doing some final edits. I am so excited!). This week has been a fun week. It has gone by quickly starting with getting our home, the Sammy, ready for the long term tennants. This was quite the task with cleaning, gardening, moving furniture and more. The new tenants came on Tuesday and are thrilled (not that there was any doubt!). Now I have 2 vacation rentals and 2 long-term rentals. In addition, today I got a call from a friend of my dad’s wanting me to find tenants for his long-term rental. The business is growing so fast I can hardly keep up with it, but I am grateful to be busy. As long as I can continue to work independently and be my own boss then I am happy. Even with all the stresses and the never-ending work, the idea of going back to a regular job makes me nauseated. I hope it never happens. Once Tuesday was over (and the long days getting the house ready) I got to work Wednesday on my events calendar for Grabber warmers. I have a booth and a warm team van I take to events all around Utah, and I had to get the calendar ready for my supervisor to approve. It has been next to impossible to get this calendar ready by the end of the August (so I missed it by 3 days, it counts), but somehow I squeezed it in and it is done! Isn’t it the best feeling when a project is finished? Especially one you doubted your ability to complete? It is the best! With all this work you might wonder if I had any fun this week. Fortunately last month I planned a long overdue Mary Kay party with my friend Laura South. She had been encouraging me to host a party for a year or more and finally I found the time to do it on Wednesday. After my recent debacles with enrichment parties (see Thoroughly Uncool) I wondered if anyone would come- particularly after several last minute cancellations. I was seriously worried it would be me, Laura and my friend Suzanna. To my surprise and delight the turn-out was great. My friend Rachel H. brought 3 of her friends! This in a addition to Suzanna, Melany, Anna and Becca. Including Laura and myself we had 10 people. My only regret is I was so busy hosting I forgot to take a picture! The food was good, the make up was fun and we all got great prices on good quality make-up. I will definitely consider throwing another party. Is it terrible to feel a little popular after such a party? That is how I felt yesterday. It was a nice feeling after a summer consumed with work (since Hawaii at least). Today I took some time off wrote my article for right chicks, attended voice lessons with Anna (so excited! ), and then had a lovely dinner with my great friend Angie Powell Barratt. She recently got married and this was my first time to her house. It is a charming house built in 1901 they are restoring bit-by-bit (so much cuter than some bland new house). We talked the night away and it was a lovely evening. I turned my phone on silent and just enjoyed myself. Sometimes the best thing is eating a good meal with a lovely friend. My last comment is on the movie 500 days of summer. Maybe it is because I feel like there has been 500 days this summer, but I loved it. There are so few movies which feel authentically creative- too many are sequels or rip-offs of earlier, better movies. 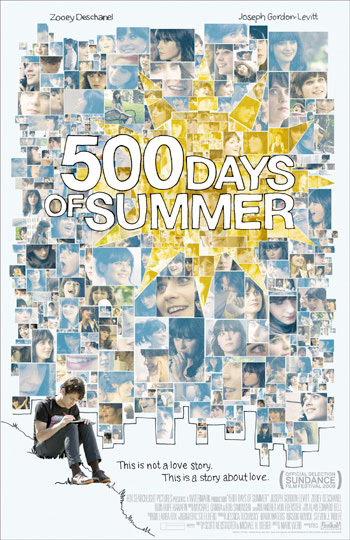 The plot is about a young couple (Joseph Gordon-Levitt and Zoey Deschanel) that have a 500 day relationship. In a very creative way the story jumps around from one moment to another showing day 5, 301, 499 and back to 1 etc. It takes a bunch of creative risks including non-linear storytelling, over-the-top narration, a large musical number, sketch drawing on the whole screen, dual panels with different story-lines, and more. The acting was good, writing funny, and the music was cool. It does have a few objectionable things and probably earns its PG-13, but for adults it is wonderful. One small thing I appreciated about the movie is its non-cliche ending. The characters are not in a storybook relationship, but they still learn much from each other. They are even unlikable in whole sections of the movie- particularly Deschanel (her character is named Summer, hence 500 days of Summer). In real life most people have a series of teaching relationships before meeting the right person. This movie shows the process of becoming the right person for someone else through a relationship. It is an unexpected and interesting movie on so many levels- characters, plot, sets, style and more. It is also the kind of movie that is better in the theaters. You will appreciate the creative touches more on the big screen. I hope you all like it. Let me know what you think!